The best tips for how to grow raspberries in your own backyard. 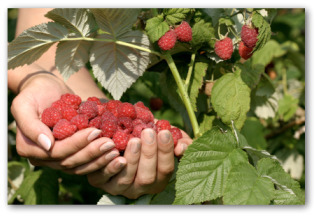 Easy methods for planting, caring for, and harvesting raspberries when home gardening. A border of raspberries around a vegetable garden can be an effective thorny barrier against intruders. There are two types of raspberry plants--summer-bearing and ever-bearing (sometimes called fall-bearing). You will want to decide which type of raspberry plant will work best in your garden setting. 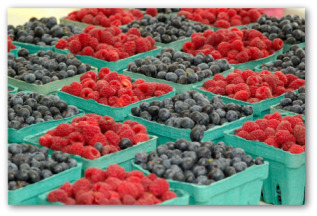 Taste test local raspberry plants to decide which variety is your favorite before purchasing plants or root stalk. 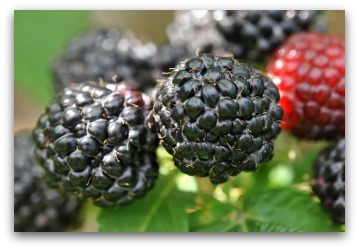 Red raspberries, and black raspberries, also known as blackcaps are the most common types of raspberry. Most raspberry canes are biennial. The first year green stems bear only leaves. The second year brown stems produce fruit. The fruit-bearing season lasts about one month. To keep plants healthy, remove brown stems after harvesting raspberries. Summer bearing will need support in the form of a fence or trellis. There are also several great varieties of everbearing raspberries. Ever bearing raspberries are a bit easier to care for than the summer-bearing plants. This type sends up new shoots each spring, and usually produce berries continuously throughout the summer and into the fall season. Everbearing raspberries produce a bit later in the season than summer-bearing varieties. Everbearing varieties do not need a trellis or support. They are pruned to the ground each winter, and send up new shoots each spring. The best method to use for growing summer-bearing raspberries is planting one year old transplants. The plants average 5 to 10 feet and bear fruit in their second year. 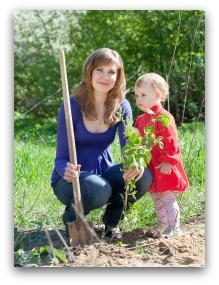 Raspberry bushes will produce for eight to ten years after production begins. Raspberries require full sun with a preferred soil pH of 5.5 to 7.0. Plant raspberries in late winter or early spring. In zone 6 and further south, transplants can be planted in the fall. A good rule of thumb is to plant 1 to 2 inches deeper than the plants were previously grown. Prune new black raspberry transplants back to just above ground level. Prune other varieties down to 8 inches. Leave a space between plants of 2-3 three feet apart in rows that are spaced 4-6 feet from each other. Mulching is recommended because roots prefer 4 to 8 inches of organic mulch during warm weather to help keep them cool. A 4 to 6 inch layer of compost in the fall protects the roots from heaving and feeds the plants in spring. 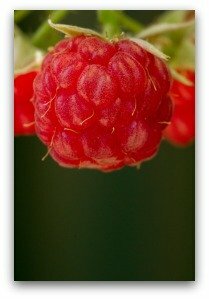 Learning how to grow raspberries will be one of the most delicious decisions you will ever make! 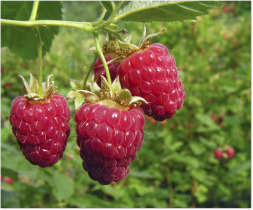 Thornless Canby is a midseason variety that grows extra large, bright red raspberries. No thorns make picking the firm beauties even more of a pleasure. 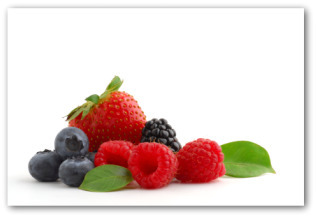 Heavy yields supply you with all the berries you need for freezing, cooking, and desserts. Brandywine grows a big, fine quality berry of wine-red, purple color. Their delicious flavor does not fade when freezing or canning, so don't eat all the produce straight off the vine! Good selection for zones 3-8. Amber is a midseason raspberry that grows an exceptional yellow fruit. This tremendous bearer produces large, firm, yellow-colored berries in zones4-8. Logan bears extra large black raspberries. The plant yields crops every year in zones 3-8 and succeeds on all kinds of soil. Heritage is an everbearing variety with upright canes that require no support. The plants come on early loaded with sweet, juicy berries. Suited for zones 4-8, this type will produce two big crops a year. Wild brambles host diseases to which the raspberry might succumb. Himalaya berry plants can spread anthracnose to raspberries. Potatoes and raspberries are both killed or injured by verticillium wilt, so do not plant these crops close together. How to Grow Raspberries and Keep them for Yourself! Birds just love to eat raspberries. Therefore, you will find that the most common animal pest for growing raspberries is birds. A barrier that is to be successful at keeping out raspberry robbers must completely surround the plants, as the birds are sure to find any opening. Drape fabric or plastic netting over the raspberry bushes using a support to hold the netting away from the bush so the birds cannot reach any of the fruit. Mylar streamers, or scare-eye balloons will also help scare birds away, but to continue to be effective they must be moved around frequently. Another method for protecting your berries from the bird plunderers is to build a tepee using poles, pipes, or lumber constructed over the raspberry patch. Cover the structure with a net. Be certain to leave an entryway for yourself! At last we are to the best part of how to grow raspberries! Harvest berries when they slide easily off the small white core. Pick using a small container so the berries on the bottom do not get crushed.